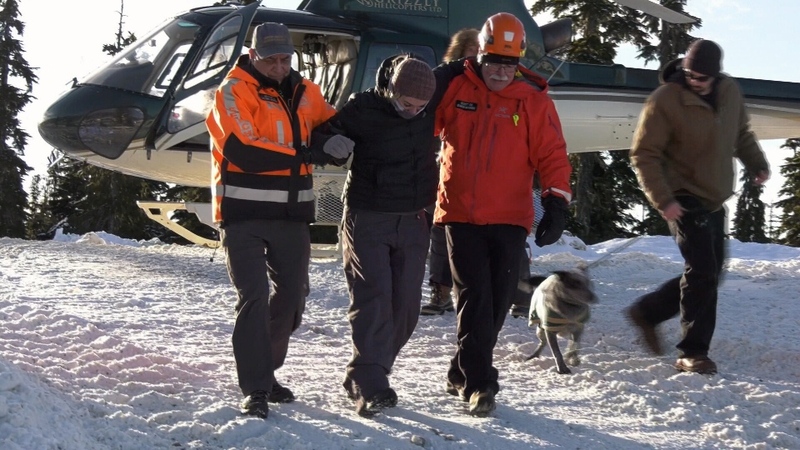 Three adults and two dogs were rescued from Strathcona Provincial Park on Vancouver Island Saturday after spending a freezing night in the backcountry near Mount Washington. The party had planned a three-day snowshoe hike, but quickly realized they were not adequately prepared for the trip, according to Paul Berry, search manager for Comox Valley Ground Search and Rescue. One of the women in the group aggravated an old injury, and one of the dogs sustained a slight injury as well. The party used a GPS device to contact the RCMP, which in turn contacted the Comox Valley SAR team. A total of 25 volunteers responded, including two SAR members who spent Friday night with the group to ensure their safety. The trio, and their dogs, were rescued by helicopter on Saturday and flown to nearby Mount Washington Alpine Resort.